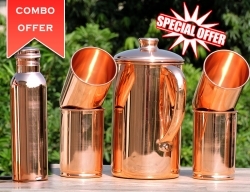 Comes with a leak-proof lid. 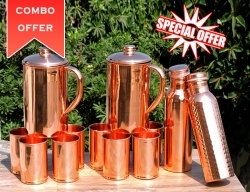 Copper has been used since the ancient times to make utensils. 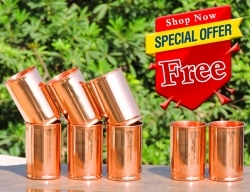 This is so because our ancestors were very much aware of the health-related benefits of copper and the same has also been mentioned in the scriptures of Ayurveda as well. 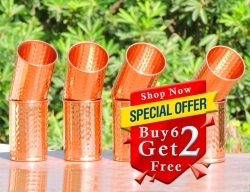 Due to this reason, a lot of people all around the world are taking inspiration from the ancient era and going back to copper utensils for maintaining their health and solving health related issues. 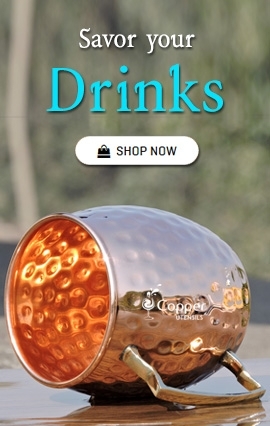 Water stored in copper utensils overnight is loaded with therapeutic healing properties of copper and is extremely beneficial for the overall well-being of an individual. 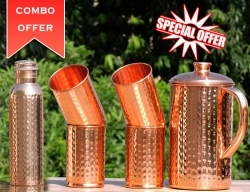 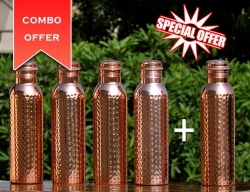 Our plain small copper water bottle is crafted from pure copper and is perfect for reaping the benefits of "tamara jal". 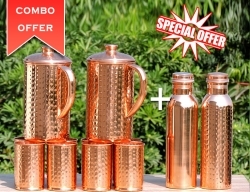 The bottle is small in size and comes with a leak-proof lid to prevent any spillage or leakage making it the perfect option for kids to carry in their school bag. 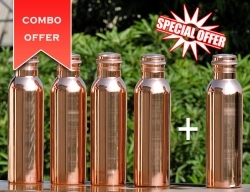 The water also stays fresh and cool for a longer duration as compared to plastic water bottles.